Those looking to watch Sky on their Android devices don't have long to wait as Sky Go for Android will be officially released on 22 February – and the app could even turn up on the Android Market before then. This is according to sources close to the matter who have revealed to TechRadar that the app has been in testing for months and is being readied for a 22 February release. This is the first time we have heard an exact date for the service – when Sky announced that Sky Go for Android was coming, it said that it would land at the 'end of February' but no specific date was given. 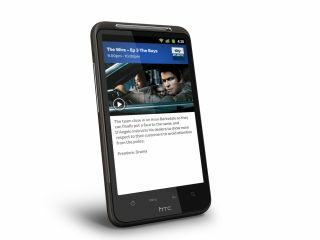 Initially, Sky Go for Android will be released for only HTC and Samsung phones. The following phones will be compatible with the app: HTC Desire, HTC Desire S, HTC Desire HD, HTC Incredible S, HTC Sensation, Samsung Galaxy S and Samsung Galaxy S2. Sky hasn't yet revealed why it is only these phones getting the service other than these phones were "the most popular". Stay tuned for TechRadar's Sky Go for Android review but if you can't wait then you can always check out what we think of the iOS version. TechRadar has contacted Sky for official confirmation of the app's release date.